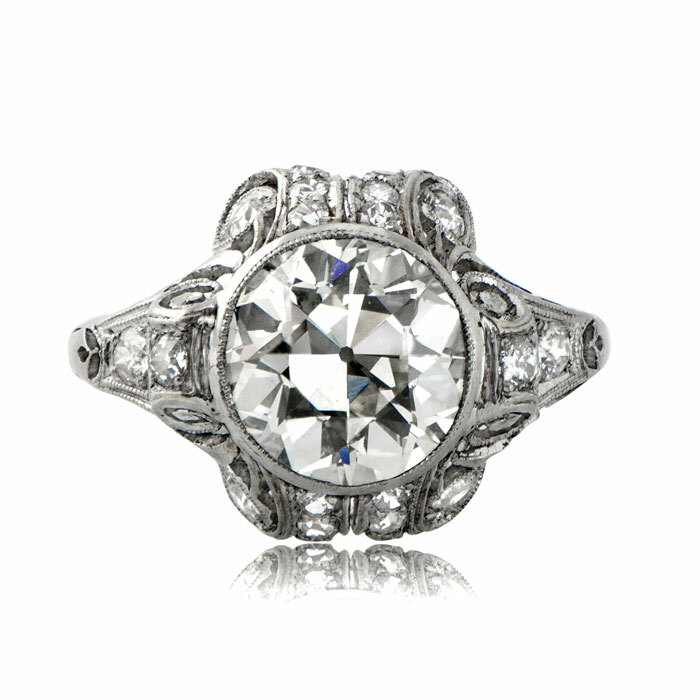 Antique platinum and diamond engagement ring. 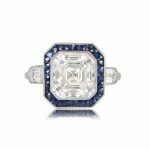 Center diamond is an Old European cut diamond which is approximately 3.80ct J/K color, VS2 clarity. 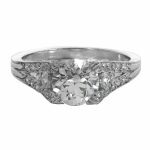 It is set in a handcrafted platinum mounting which is enhanced with small single cut diamonds and fine millegrain. 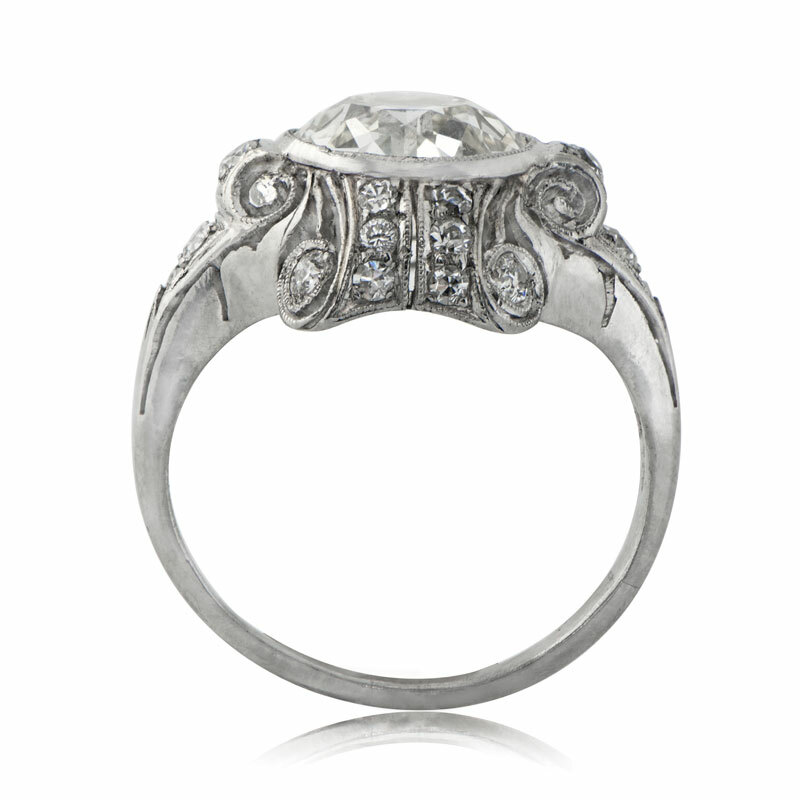 This ring features a scroll motif which adds dimentiality to this ring. 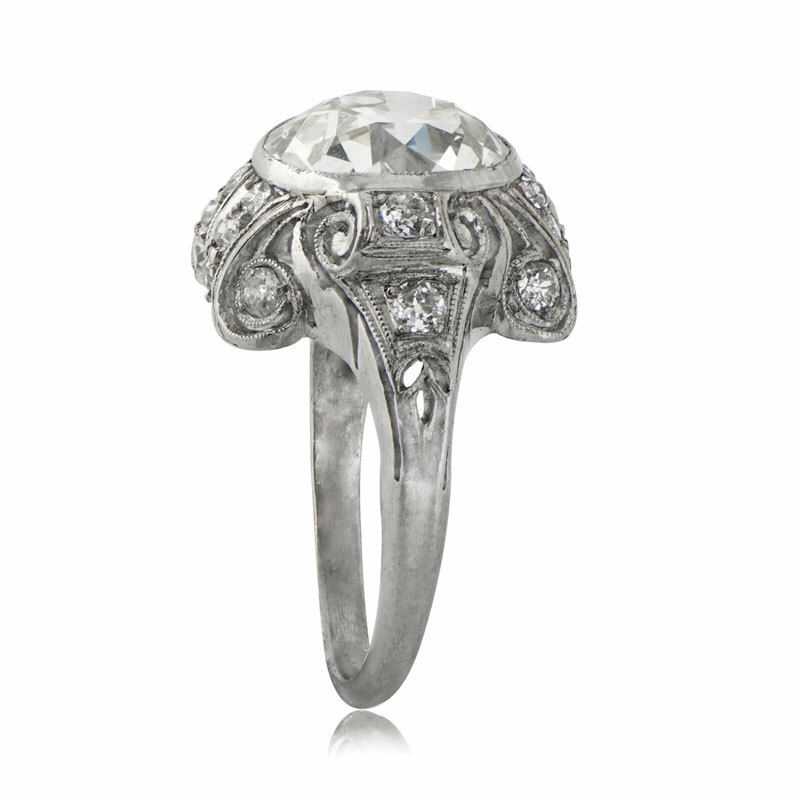 The current size of this ring is 6 and can be resized to any finger size at no extra cost. SKU: 9476 Categories: Old European Engagement Rings, Old Mine Engagement Rings, Sold, Vintage Engagement Rings Tag: Interesting Engagement Rings - Contact us and request additional pictures.